The Internet Voting Project seeks to shed light on the effects of Internet voting on elections by surveying (1) Voters (paper ballot and Internet), (2) Candidates, and (3) Election administration in Ontario municipalities that offer Internet voting in the October 2014 elections. Survey questions will probe voting histories, political attitudes (i.e., trust, internal and external efficacy, political interest, civic duty, etc), thoughts about Internet voting and the election experience, opinions about changes to the local campaign, knowledge and use of computers, access to and familiarity with the Internet, among other items. By collecting this information the research plans to broadly address the question: ?What is the impact of Internet voting on local elections in Canada?? through the lenses of these stakeholders. 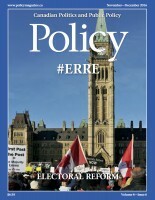 What impact, if any, does Internet voting have on voter turnout in local Canadian elections? Does Internet voting encourage non-voters to participate electorally? Do Internet voters share particular political attitudes? Are there differences in the strength of senses of civic duty among paper ballot voters and Internet voters? How are local campaigns affected by the option of Internet voting? Does the introduction of Internet voting make the election process more efficient for election administration? What are the impacts of Internet ballots on election cost? The original scope of the project was to collect survey data from 16 of the 89 Ontario communities that plan to use Internet voting in 2014. However, a generous in-kind contribution from the Centre for e-Democracy and AskingCanadians has made it possible to host the surveys for all communities that offer Internet voting, if they choose to participate. Reports analyzing the main findings will be downloadable from this website in PDF format. This synopsis was taken, with permission, from www.internetvotingproject.com.